Why is Google not Ranking my Website? Search rankings can be a little challenging and unpredictable. One day your site might be ranking high, allowing it to receive a lot of visitors. And then, just when you think you’ve got Google all figured out, your rankings may drop. Or perhaps, Google has never ranked your website at all. 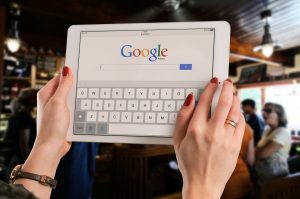 Maybe you have already done every technique you know to optimize your site, but it is still not ranking for the keywords that you have targeted or it’s not ranking for any keyword at all. If your site is only a month old, then you can’t expect it to rank in search engines yet. In fact, you may have to wait for a few months before it gets ranked for certain keywords. It can take around 2-3 weeks for your site to be indexed by Google. Only then can it start ranking. If you want to know if your site has already been indexed, you can type “site:yoursite.com” in Google. If no results are displayed, then this means that your site’s not yet indexed. Your targeted keywords are high-volume and short tailed. One of the reasons why your site may not be ranking in Google is poor content. Publishing content just for the sake of publishing content is not really going to get you far. It is important that your posts are high quality. The better the quality, the higher the likelihood of you earning backlinks. Low-quality content or “thin” content has no real benefit to your website, and may even harm it if it gets penalized. Your on-page SEO is not optimized. There are a few tips to maximize your on-page SEO. For instance, you should use static and keyword rich URLs. Your title tags, heading, and alt tags must also be optimized, and the keywords must be naturally spread throughout your content, along with other related phrases and keywords. It is also ideal to create content that covers a broader topic. This technique will allow your site to rank higher for each keyword, provide more value to your visitors, and consequently attract more inbound links. If you’re still struggling to rank, we can help. We’re experts at getting websites to rank organically in Google and Bing and we can help you to achieve top rankings in your industry. Contact us today for more information. https://www.phoenixwebsitedesign.com/wp-content/uploads/2017/03/phx_1a.png 0 0 Ed Smith https://www.phoenixwebsitedesign.com/wp-content/uploads/2017/03/phx_1a.png Ed Smith2017-07-27 18:32:342017-07-27 18:32:34Why is Google not Ranking my Website? What Every Business Owner Needs to Know About SEO Why has my ranking disappeared?